Nightlife in New York City is a scene like no other. From hipster haunts in Brooklyn to Meatpacking’s clubs, NYC has every type of bar covered. 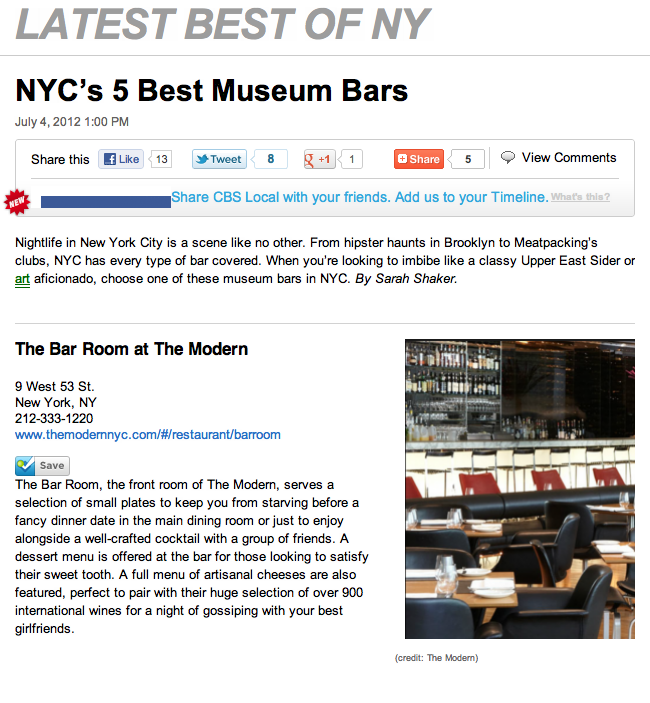 When you’re looking to imbibe like a classy Upper East Sider or art aficionado, choose one of these museum bars in NYC. 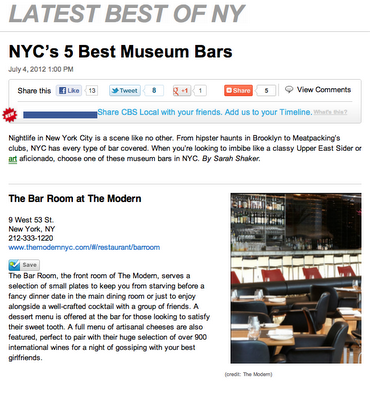 Outside of Manhattan, check out the bars at MoMA's P.S.1 (dinette) and The Museum of the Moving Image.